ATLANTA, March 5, 2018 /PRNewswire/ -- Today Chick-fil-A® introduces its newest seasonal menu item, Frosted Sunrise, which is available at restaurants nationwide through June 2. The creamy and tart treat is a combination of Chick-fil-A's signature vanilla Icedream® and Simply Orange® Juice. The treat launches in all restaurants following a successful test in Jacksonville, Fla. last fall. Chick-fil-A adds new Frosted Sunrise to menus nationwide March 5. 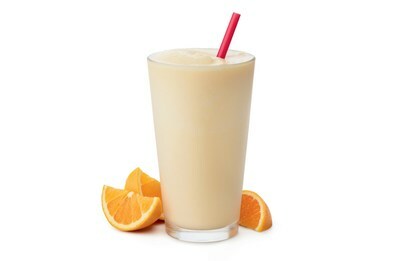 Frosted Sunrise is a combination of Chick-fil-A's signature Icedream® and Simply Orange® Juice. 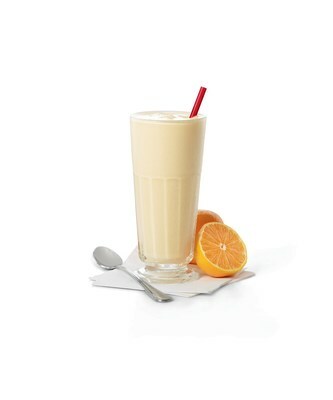 Frosted Sunrise follows Chick-fil-A's first frosted beverage, Frosted Lemonade, which was added to the menu in 2015 and was so popular that Chick-fil-A added Frosted Coffee, made with cold-brewed iced specialty coffee and Icedream, to the menu in 2016. Last year's seasonal menu item, Frosted Strawberry Lemonade, a hand-spun combination of Chick-fil-A's fresh squeezed Lemonade (or Diet Lemonade), Icedream and strawberry purée, was on the menu for a limited time as a seasonal offering. Icedream, inspired by founder Truett Cathy's original recipe, is a delicious, dairy treat with an old-fashioned vanilla taste. "Spring is the perfect time of year to introduce a new seasonal Frosted beverage. Our seasonal Icedream offerings have become customer favorites over the last few years," said Amanda Norris, senior director of menu development for Chick-fil-A. "Frosted Sunrise combines simple but flavorful ingredients into a tasty treat that customers can enjoy throughout the day." For more information about Chick-fil-A and stories about the company's food, people and customers across the country, visit thechickenwire.chick-fil-a.com. Chick-fil-A reported over $9 billion in revenue in 2017, which marks 50 consecutive years of sales growth. A leader in customer service satisfaction, Chick-fil-A earned the Chicken Restaurant Brand of the Year honors for the fourth consecutive year in the 2017 Harris Poll EquiTrend Study. Chick-fil-A also received the top score among fast food brands and one of the top 10 scores overall for customer experience in the 2017 Temkin Experience Ratings survey, and was named one of the top 100 best places to work by Glassdoor. Continuing its founder's legacy of generosity and service, in 2017 the company's philanthropic Chick-fil-A Foundation awarded $1.23 million to 23 not-for-profit organizations across 13 states through the True Inspiration Awards and almost $9 million in scholarships to restaurant team members nationwide. More information on Chick-fil-A is available at www.chick-fil-a.com.